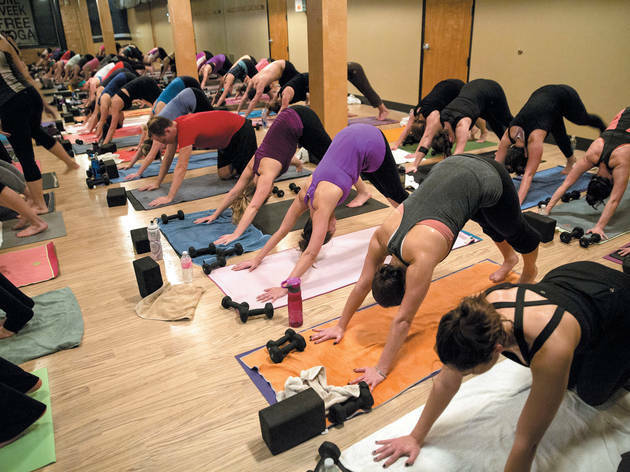 This national chain known for its calorie-torching "C2" hot yoga class is popular for a reason—it's seriously tough to beat. Warm, welcoming instructors, tons of daily class times and, of course, body-mind benefits. Not into power yoga? Try one of CP's Yoga Sculpt classes for a major booty-kicking. Unlimited "Black Tag" membership ($155/month) gets you access to any of the 23 Chicagoland studios. Plus, all new students get one week free unlimited yoga.